The windows of our homes are normally used to take a look at what is going on outside. However, windows and their frames play an important role in the energy efficiency of our homes. That’s why if you’re looking to improve your home energy efficiency, it is important to know how your window frames might be affecting it. Take aluminum or metal frames, for example. Although they may be strong and require little to no maintenance, they conduct quite a bit of heat and quickly, too. That can become quite an issue on a hot summer day as they will radiate heat and potentially force you to keep cranking up the air conditioning, says the U.S. Department of Energy. In cooler weather, they can pull warmth out of your heated air, too, and wick it away to the outside, making your home cooler. If these are the materials your window frames are made with, you might want to consider changing them if you don’t like the heat. One of the best alternatives to metal is fiberglass. As a window frame material, fiberglass is very stable and has air cavities that can be filled with insulation. This means that you can better moderate temperatures inside due to the insulated barrier around your windows. Along with frame materials, it is important to have the right window glass in the frame as well. With how hot summers in Georgia can be, it is important to stay cool however you can. 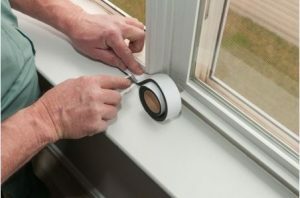 That’s why windows with heat absorbing tint or windows filled with inert gas are great ways to keep your home cool and improve its energy efficiency also. If your windows aren’t working for you and you need to have them replaced, trust the experts at Affordable Glass & Mirror Co. We offer window glass replacement and repair and will have your windows looking like new again in no time. If you would like more information, feel free to call us today at 404-361-5151!